"Once you land here, you can feel that everything smells of rain. I come here only to get drenched in this pure rain. A new Me is born whenever…"
"Shhhh…Let the clouds of pain that are hovering in your eyes take the shape of rain today. Let you say, a true me is born today." P.S: I am again hit by the writer's as well as reader's block and hence I am M.I.A. Dug this very old write-up ( may be about 4 yrs old ) out of my draft folder and decided to finally post it because I can't give it a miss when it is a prompt by Vidya on Write Tribe. Vidya has written an amazing 55 Fiction Tutorial there on Write Tribe. And do not you dare to miss it. Glad you dug this out - it's lovely, Pree! And you and writer's block can't be related -ever! Great take on this. 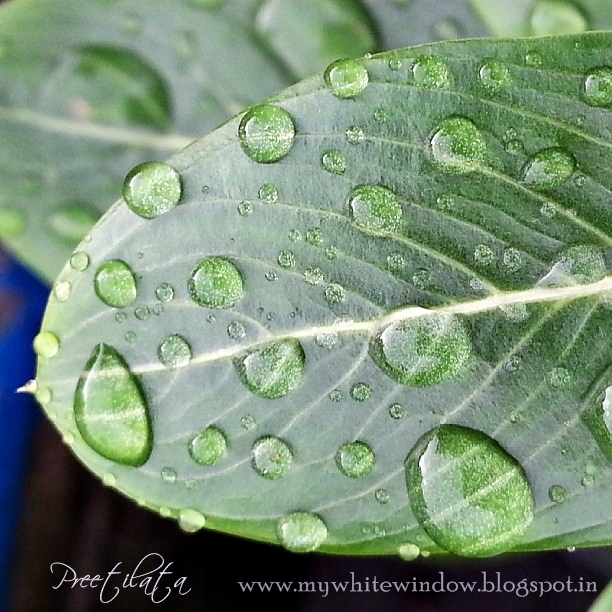 What a magical effect rain has on us - in every form. This is so beautiful Pree...you dug out a wonder! Oh, that's so beautiful a 55-er! You, Preetilata, are a beautiful soul. Thank you for this great response to the prompt. It brings up all sorts of visuals in my mind, of hope and a new beginning. Such is the power of rain.Hugs! By the way, this also brought back memories of visiting Cherapunji fifteen years ago! I always hated the rain....till today !! I will reconsider my feelings because I need to be reborn .I need it. I adore your story, its beautiful. Oh good to see an old post surfacing back, we would have otherwise missed out on something really good! Sorry for M.I.A and i so hope to be back soon. This is beautiful...Rain does bring out this urge to start afresh!! So glad you dug it out of the drafts!! Just wonderful!